From Gmail Labs comes out some experimental features that will be integrated to Gmail. 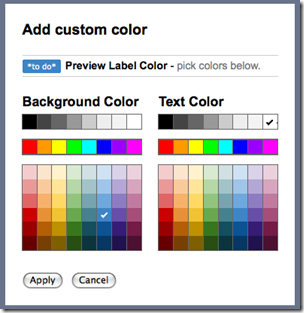 Some of this are user suggestions as: Custom label colors, Go to label keyboard shortcut and Navbar drag and drop. For more information you can visit the gmail blog. Two days before I post a short guide How to reset Windows Vista Gadgets. 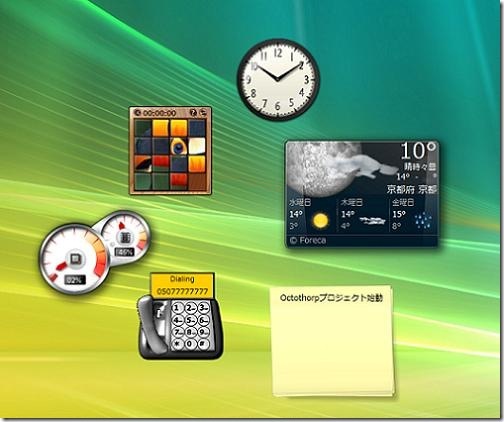 Today another hack how to use Vista gadgets without the sidebar. 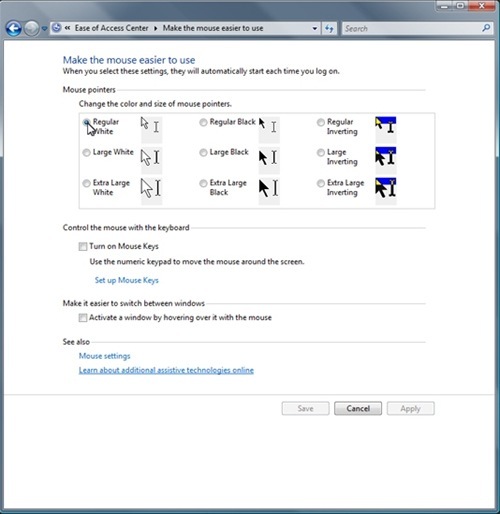 In Windows Vista we can choose a mouse pointer scheme to increase visibility of the mouse pointer on the screen. Here is a quick way to do: Press and hold on Windows Logo + U. A window will come up with options, scroll down and select Make the mouse easier to use and select colors and size as you like. 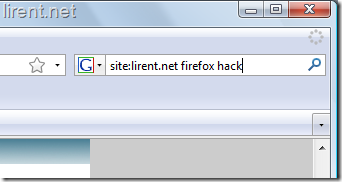 When we search often we use the search box on the top of Firefox, and very often we open a new tab. 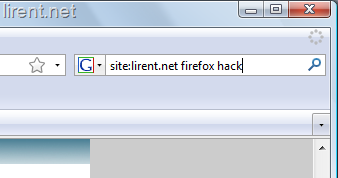 Here is the hack how to make this tab in an automatic opening when we search and we keep the current page. Type about:config. Scroll down or find the string browser.search.openintab and change the value from false to true, like in the screen shot. 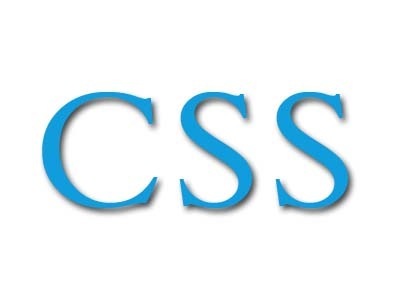 Recently I was fixing some CSS image alignments and the width for images. And the problem was with the big images that come out of content?! At this point comes out max-width. The max-width CSS property is a great property to use when you don’t want an element to get larger than a certain size. It does exactly what it says it does. Using it with images can be very handy. Here’s the syntax. 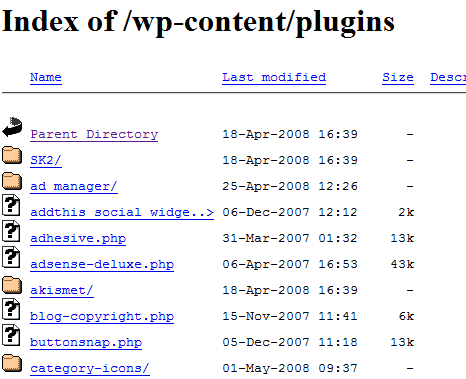 You are in a WordPress site and want to know what plug-ins is using that site or what themes? This is very simply do to, just browse websitename.ltd/wp-content/plugins and you will see a similar screen-shot as a made above the post. The same for themes /wp-content/plugins and wala! All the files and all the themes name.